Our flexible polyurethane injected filters are manufactured with 95% polymerized filter media, which allow the production and assurance of the highest quality of air filters in Fuel Injection vehicles, with characteristics of airtightness and resistance required to maintain an active filtration during the life of service. Likewise, other filter media for light automotive air and pocket have been incorporated with greater passage of air flow for vehicles assisted with vehicular natural gas. 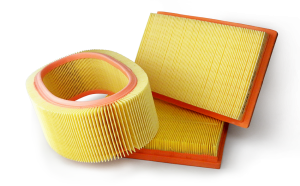 These new filter media provide a large amount of air without affecting filtration efficiency but with a large flow capacity that reduces fuel consumption and improves engine performance.